The series of tie-in LEGO® sets released ahead of this year’s summer blockbuster Jurassic World: Fallen Kingdom feature a toothsome line-up of LEGO dinosaurs. Part 1 of our review introduced the three new full-size dinosaurs - Carnotaurus, Indoraptor and Stygimoloch - and now we will take a look at the remaining dinosaurs, as there are some interesting recolours of old friends. 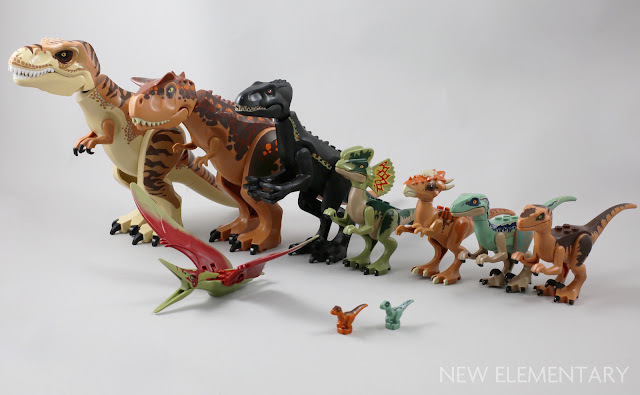 Elspeth De Montes goes dino-crazy today with LEGO® sets from Jurassic World: Fallen Kingdom, which are now available. The LEGO Group have released a series of tie-in sets ahead of this year’s summer blockbuster. In total there are 12 Jurassic World: Fallen Kingdom sets being released and, in addition to these, 75932 Jurassic Park Velociraptor Chase allows you to re-enact the iconic ‘velociraptor in the kitchen’ scene from the original movie. 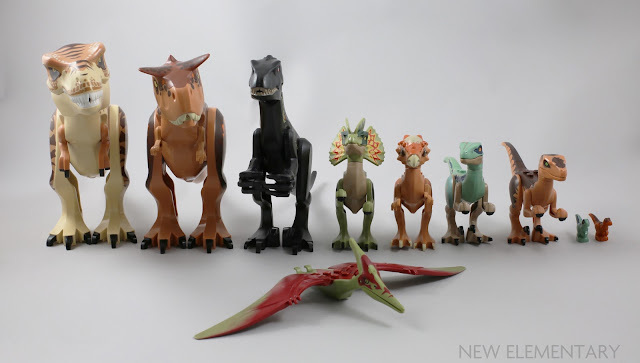 We have been able to review the parts and dinosaurs from the eight main sets (the other five being two Juniors sets, two Duplo sets and a BrickHeadz set). We will be taking a look at all the new elements included at a later date, but first let’s take a look at the return of the LEGO Jurassic beasts. Now for the final of our three posts featuring creations by London AFOLs using new LEGO® parts. London AFOLs are - you guessed it - a bunch of adult fans of LEGO who meet in London. In a pub! It's very friendly and informal, and new and international visitors are always welcome. They meet on the second Monday of every month, so check out the group on meetup.com/LondonAFOLs. Today it is the turn of the Spacers to show what they came up with in 20 minutes using the seed parts and the stock of other bricks. Garmadon hats - also known as Minifig, Headgear Hat, Conical Asian with Raised Center (Design ID 26007) have proved very popular across this parts festival despite their singular connection point, and here make a very slick microscale ship. By now, we're all familiar with the phenomenon known as LEGO® Friends. 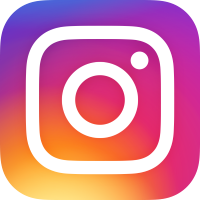 It was The LEGO Group's first theme marketed to girls that stuck, and why was that? Well for starters, it was the first theme to really take the full LEGO experience and move it into girl themes, instead of trying to port “Girl toys” over to being LEGO toys. Secondly, girls aren't the only fans of those sets. I myself have three Friends sets to date. 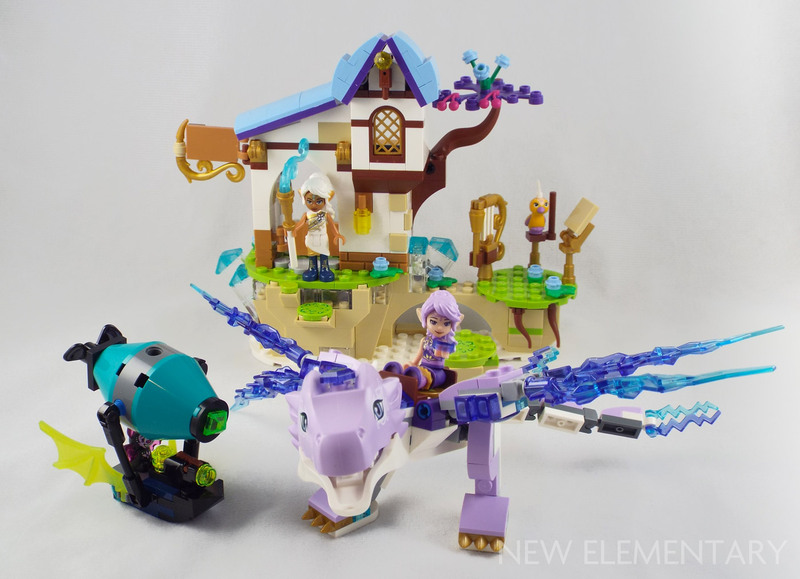 Its success lead to the proliferation of bright pastel colors and minidolls into other new themes, and today we're going to be talking about one of those themes – LEGO Elves, with the set 41193 Aira & The Song of the Wind Dragon. While most wouldn't be shocked to know that male FOLs aren't shy about picking up the “Girl LEGO” sets, there’s one subset of fans that might shock people: the Bionicle/Constraction community. That's right, one of the most testosterone-fueled niches of the AFOL community absolutely adore LEGO Elves sets. Why is that though? To answer this question we have to dive back into the early days of Bionicle history.